It's going to be a big weekend for car shopping, so here are some of the best deals on the best cars. The Labor Day weekend is one of the biggest car shopping weekends of the whole year. Besides that handy extra day off, it nicely coincides with the annual model year changeover, a time when car dealers are looking to clear out inventory to bring in the new cars. That means you can get some big incentives and, on top of that, you can negotiate price reductions on those outgoing models. But watch out. If a particular 2013 model is being replaced by a much-improved new version you might be better off waiting and paying a little more for that 2014 car. If there are no big changes, this could be an opportunity to pay less. Sometimes it can be a tough call. 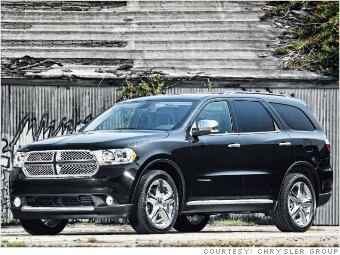 For instance, you can save about 10% on a rear-wheel-drve Dodge Durango Citadel, including incentives and dealer discounts, according to the auto pricing Web site Truecar.com. In this case, though, you'll be getting a 5-speed transmission instead of the very nice 8-speed you could get in the 2014, plus a few other features like a larger touch screen. The choice is yours.